X-craft will be representing UKR_Spec's excellent products in Australia, New Zealand and the South Pacifc. We will be ensuring that the UKR_Spec product sales will be backed with the highest level of customer support . 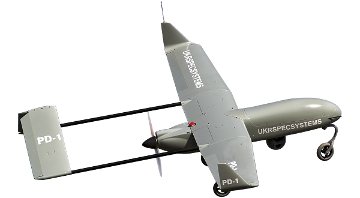 13th - 14th October, 2016 : Philip Solaris gives a presentation on Emergency Response UAS. X-craft leads the Rescue Robotics project to Canberra on the 28.03.2016 as a finalist in the Pacific Humanitarian Challenge, an Australian initiative that seeks innovative approaches to the Emergency Relief efforts in the Pacific region. The competition has received 149 entries from 20 countries and focuses on three primary areas, those being Communications, Logistics, Finance. X-craft is New Zealand Civil Aviation Authority Part 102 certified on the 02.03.2016, confirming the highest level of professionalism for UAS civilian operations is adhered to. Please note : X-craft is committed to operating within UAVNZ and CAA best practice guidelines, respecting personal privacy and adhering to the highest level of safety at all times. 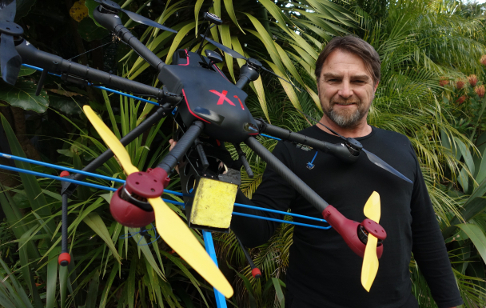 UAVNZ inaugural meeting: The first official meeting of the UAVNZ industry body group to be held on the 12th of August 2015 in Auckland, New Zealand. New Zealand Civil Air Authority regulation aims to promote safety and ensure the highest standards of professionalism in the UAS industry. UAVNZ elections : The first official election of the UAVNZ Chairperson and Executive Committee on 29th June to July 1st 2015 at the Aviation NZ conference, Queenstown, New Zealand. X-craft CEO at Mobiletech 2015 conference : Philip Solaris gives a presentation on The Past, Present and Future Design and Development of UAS. X-craft conducts Emergency Relief Operations in Vanuatu for the World Bank after category 5 Cyclone Pam. New Zealand CAA releases RPAS/UAS regulation update.